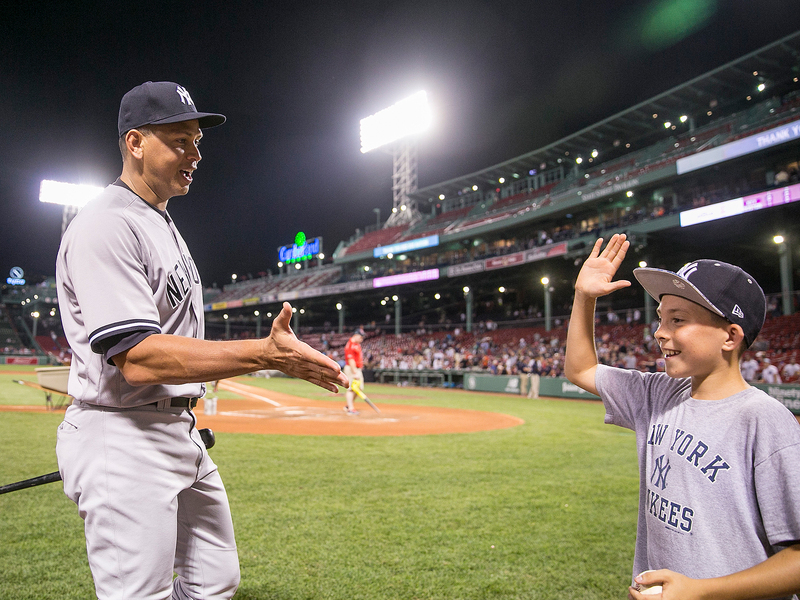 Alex Rodriguez’s final road game as a Yankee—at Fenway Park, no less—ended in a win, setting the stage for his last game in the Bronx on Friday. BOSTON—Moments before the first at-bat of his last game at Fenway Park as a member of the Yankees, Alex Rodriguez stepped out of the on-deck circle and motioned toward himself. The young Yankees fan in the front row paused mid-“A-Rod!” and pressed himself against the netting. Jacob spent the next eight innings shouting encouragement at his new friend, reminding him to keep his shoulders square and suggesting that he consider a bat flip after a possible home run. Rodriguez, as it turned out, had correctly calculated the odds of his events: He went 0 for 4 with an RBI groundout, but New York topped the Red Sox, 4–2, to take the series. If his abbreviated retirement tour couldn’t quite include a Ted Williams moment, Rodriguez settled for a Babe Ruth one. It was a feel-good memory in a week short on them. 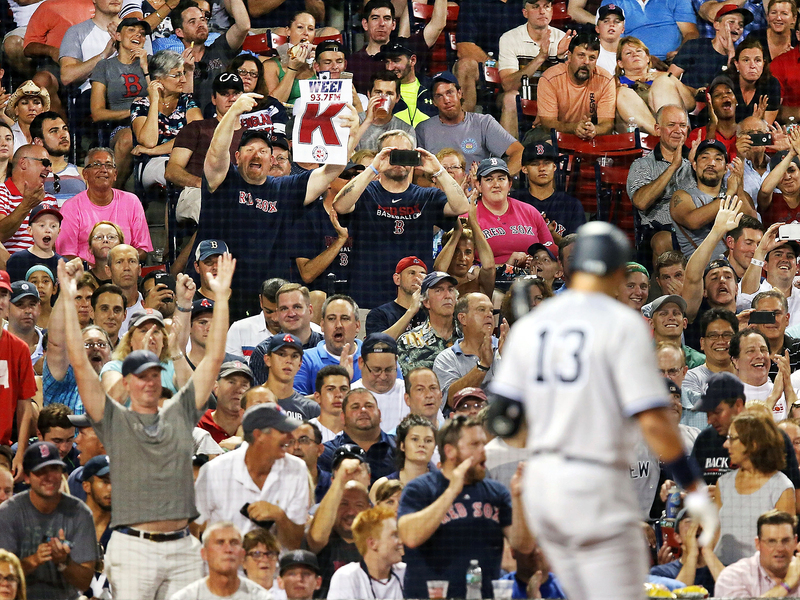 The fans at Fenway chanted “We want A-Rod” in high-leverage situations for two nights, then booed lustily when they got him. (The announcement was so last minute that, much to their dismay, the T-shirt vendors lining Kenmore Square didn’t have time to add A-Rod to their list of “is a douche” options, alongside LeBron James and Roger Goodell.) We can’t even agree on what to call this circus: Rodriguez, 41, has carefully avoided the word retirement—if he officially hangs it up, New York is no longer responsible for the remaining $26 million on the 10-year, $275 million deal he signed before the 2008 season—and the brass has stopped short of saying it offered him an ultimatum. A lightning rod since a scout told Sports Illustrated in ’93 that Rodriguez was “the next Cal Ripken,” he has found his treatment during his final handful of games reflecting his at-times turbulent career. He hit 696 home runs and won three MVP awards; he was linked definitively to performance-enhancing drugs in at least eight of his 22 seasons. He hit .365 with six home runs in the 2009 playoffs, carrying New York to the World Series title; in '11, he became the first player in baseball history to end his team’s postseason with a strikeout two years in a row. He is famously in love with baseball, yet he helped chip away at the integrity of the game. “Tomorrow is about me thanking the fans for putting up with me for a such a long time,” he said Thursday of Friday’s scheduled final home game at Yankee Stadium. • What if Alex Rodriguez had been traded to the Red Sox after all? Rodriguez spent a private moment before the game inside the Green Monster, which he had never visited, posing with a metal No. 13—“It will be pretty good for my Instagram account,” he joked afterward—and thinking about his first of 3,114 career hits, which came in Boston in 1994, when he was an 18-year-old Mariner 13 months removed from being the first pick in the '93 draft. He did not add his signature to the wall alongside the thousands of others. New York has planned a ceremony for him before Friday’s game, the first in a weekend that will also include a celebration of the 20th anniversary of the 1996 championship team and the dedication of Mariano Rivera’s plaque in Monument Park—an event that will provide an opportunity for yet another controversy as the team decides whether or not to honor A-Rod there. (“It’s a bridge to cross when we come to it,” principal owner Hal Steinbrenner said Monday.) Rodriguez will be released Saturday morning and has said he plans to begin his new role as a special advisor to the team in spring training of next year. But he may get another chance at a victory lap. “I haven’t thought about it at all,” Rodriguez insists every time anyone asks him if he will sign elsewhere for the rest of the season, but his teammates aren’t so sure. Rodriguez will have a lot of reflecting to do. He feels he can still play—he asked for an opportunity to start at third base on Friday, which Girardi denied—but the multifaceted nature of his legacy is not lost on him. “There are so many” regrets, Rodriguez admitted before Wednesday’s game, referring to his doping. For Jacob, who is obsessed with A-Rod despite the best efforts of his Red Sox–loving mother Michele, the regrets are a little simpler. “We should’ve come up with a secret handshake!” he says.